Far-left British newspaper, the Guardian, called for revolution on Monday, as freedom-writer George Monbiot urged readers to enact ‘mass civil disobedience’ in order to combat climate change. With just eleven years and nine months left before the end of the world, Monbiot’s call for action comes not a moment too soon. Effeminate men and objectively unattractive women took to the streets across Europe on Monday to protest the coming apocalypse. 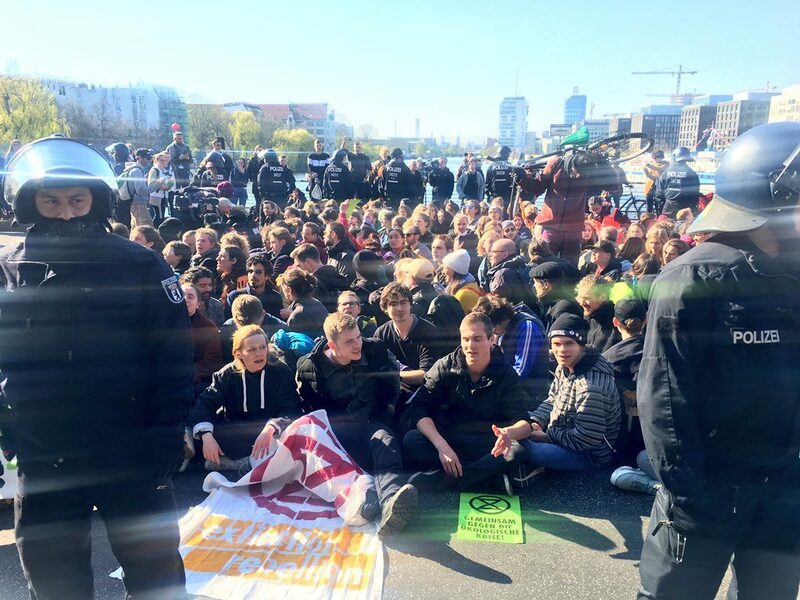 London’s Waterloo Bridge and Oxford Circus were blocked off by protesters representing Extinction Rebellion, or XR – because X’s are cooler than E’s. 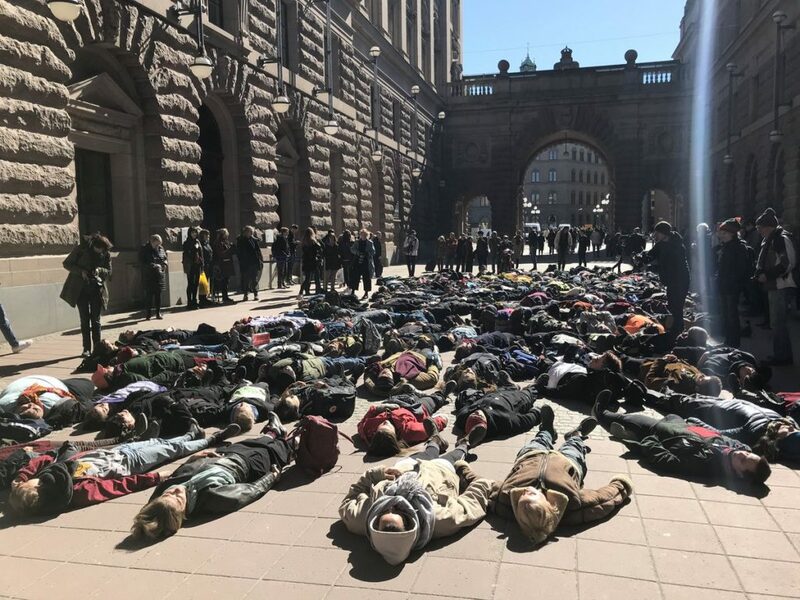 In Sweden, XR organized a ‘die-in’ at the country’s parliament building, where they lay perfectly still on the ground without causing too much trouble at all. The Berlin branch of the organization also sprung into action, as over a hundred guilty Germans blocked off the city’s Oberbaum Bridge. The protests are planned to last for the next week, and according to the organization, are an attempt to trigger an ‘international rebellion’, and ‘one that doesn’t rely on false positivity or hope’. It will do me no good to take sides against scientific dogma, but I find the idea of women being propagandized out of having children more terrifying than any horror movie Al Gore could ever produce. The assertion by U.S politician Alexandria Ocasio-Cortez that climate change would end the world in 12 years if it wasn’t addressed seems to have been felt across the pond. Wherever there is emotion to be found among the populace, you can guarantee there will be a left-wing politician there to exploit it. Anyone familiar with the Guardian will be wondering what all the fuss is about. After all, the revolutionary call to action is basically an article template over at the Grauniad. They say there was a time when the Guardian represented working class values. If true, that means there was a time when a Guardian writer would have pointed out that the climate change hoax is a ploy by Marxist politicians to squeeze the last drop of blood out of Western working class, and middle class society. This article is posted under the opinion section, and this is mine. 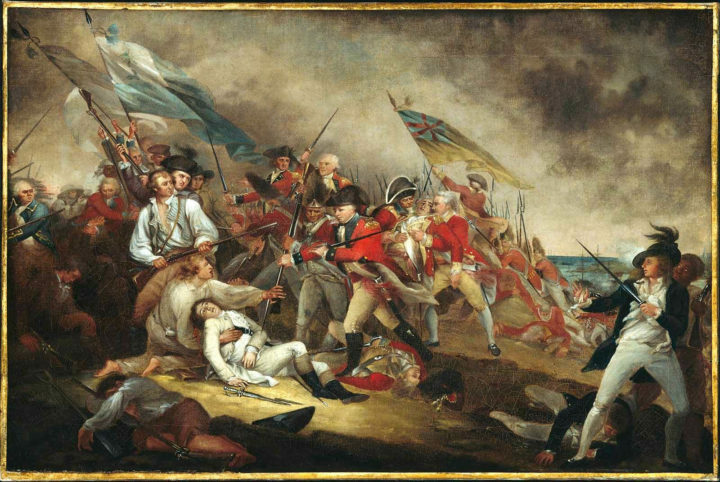 Unlike George Monbiot, I shan’t be urging you to instigate rebellion based upon it.